Content marketing is a core part of the educate and engage phase of the SIVA or SEVA model. #1: Content marketing is about the audience and their challenges – not your products. Engage the audience by discussing an issue relevant to them and by helping them to solve their problems. You’ll build credibility and establish your company as an expert. #2: Content marketing is interesting, relevant, entertaining to the reader. In other words, it’s all about creating content that the reader wants to, well, read. Content marketing is the intersection of entertainment and education with the slightest, almost indiscernible hint of sales. #3: Content is more than text on a page – much more. Actually, content is about more than reading. The boring content of the past consisted of long, dense, text-heavy white papers. Today’s content consumers expect content that is interactive, interesting, relevant. While text still plays a role, it’s punctuated with bullets, images, bold text, highlights and more – chunks that are easy to scan. In fact, content can even be “text-less” – think video, audio podcasts, etc. #4: Gate your content based on your business need. Kranz is more pragmatic than other social media/inbound marketers. He believes that you should distribute content in the manner that best supports your business goals. I.e., make it free, make it gated, make it paid content – do whatever works best for your situation. For example, enterprise software is marketed to targeted groups in a gradual cycle so it can make sense to gate content – to capture reader info in exchange for content. By contrast, well-known speakers look to quickly build massive audiences. They make most of their money on speaking engagements, not consulting or books. That’s why speakers like Seth Godin would give away their content in order to build the largest possible audience. That works well for a speaker but may not work as well for a software company. 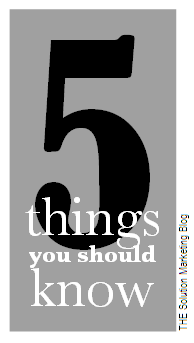 #5: Content helps decision-makers make decisions. Content marketing is key in lead nurturing. In several cases, Kranz’s content has pushed fence-sitters to move forward with projects. What do you think? What other lessons have you learned about content marketing? Thanks Steve! FYI: Joe Pulizzi and I start the new year with an updated Content Playbook; stay tuned for a very brief survey — we’ll ask marketers to ID their top content choices and will use their feedback to inform the revision.